About: Goenkan Aptitude Test for Admission (GATA) is an entrance test which is conducted by the GD Goenka University for admission of the students under various UG and PG Programmes. GATA tests the candidates on various platforms like English, Logical Reasoning, Mathematics, General Knowledge and Scientific Knowledge. About GD Goenka University: GD Goenka University was established in the year 2013, by the GD Goenka Group in the state of Haryana. Conducting Body: GATA is conducted by GD Goenka University, located at Sohna, India. Level: GATA is a National Level Entrance Test which is conducted once every year. Exam Date: GATA 2019 will be conducted on 20th April 2019 online i.e. Computer-based Test (CBT). The GATA 2019 Exam dates such as the Registration date, Admit Card Date, Exam Date, and Result Date is not released yet. 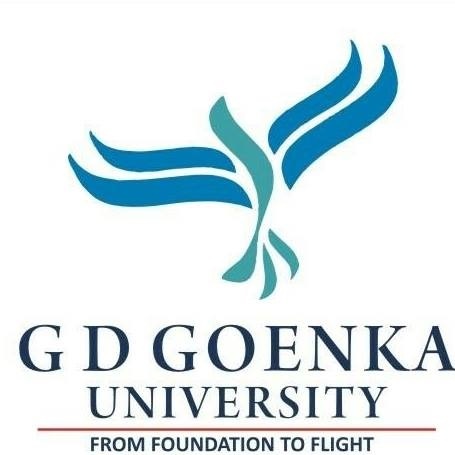 GD Goenka University will release the Important dates associated with GATA 2019 in the near future. Therefore, you are asked to stay in touch with the official website of the GATA 2019 to get to know about the exact official dates for the Examination. For Class 12th Students: You need to have qualified the Class 10th and 12th passed from any recognized board (CBSE, ICSE, Any State Board). For UG Degree Holders: The interested candidates out of you should be the holder of an Undergraduate degree from a UGC recognized University. For Last Year UG Students: If you are studying in the last year of your undergraduate degree, then also you can apply for the GATA 2019. But, please bear in mind that you have to submit the certificate issued by your institution's authority saying that you have no backlogs left and you are in your last year/ semester of education. In addition to the above statement, you should submit the provisional degree certificate/ degree certificate of your education before time to the university. The dates for the commencement of application for GATA 2019 have not been released yet. The dates will get released shortly. In order to apply for the GATA 2019, you have to go to the official website of the GD Goenka University. Upon reaching the website, you have to first register yourself. Then, you will be able to fill the GATA 2019 Application Form. The Form will not be accepted until and unless you will pay the GATA 2019 Application Fee. The payment can be done through both offline/online mode. The GATA 2019 Application Fee is INR 1000/-. The GATA Hall Ticket will be released after you have filled the application form correctly and completely. Please remember to check for the errors in the GATA 2019 Hall Ticket once you have received it. The corrections can be made only within a specific time window. After that correction window expires, you will not be able to make any kind of changes in your GATA 2019 Admit Card. If you fail to bring the GATA Admit Card to the venue of the examination, then you will not be allowed to sit in the examination. So, do remember to bring your Hall Ticket to the exam venue and reach the same 1-2 hours before. The time duration for GATA 2019 is 3 hours i.e. 180 minutes. The GATA 2019 Question Paper will be different for each discipline. Apart from the core discipline questions, the exam will contain the questions from Mathematics, General English, Logical & Analyical Reasoning, Scientific & General Knowledge. The questions will be asked from the domains of Mathematical Ability, Logical Reasoning, English Communication, General Knowledge. You can prepare for the above-mentioned subjects from the reference books, sample papers. The whole GATA 2019 Syllabus will be shortly uploaded here when the GD Goenka University will update it on their website. The GATA 2019 Results will be announced once the result has been published. The GATA Results date will be released by the GD Goenka University. The students who pass the GATA 2019, those candidates will proceed to the next level of selection. The counselling rounds will be done online afterward.